Hi Alan/Rod maybe you guys have an answer. I had a nice find show up this morning on my NooElec Radarbox. It is showing up as a GLF5 / TVPX ARS Inc Trustee Friedkin Aviation. A0007F is N1F as you state. This is currently with the GLF6 and is in the database as such since 18/12/2016. It had previously been used by the F86 until 2015 when it was reregistered N1TF. I can only presume that your Navdata on the Nooelec is not up to date and if you search for N1F in its Navdata you can advise what is held for it and if need be update the Navdata. 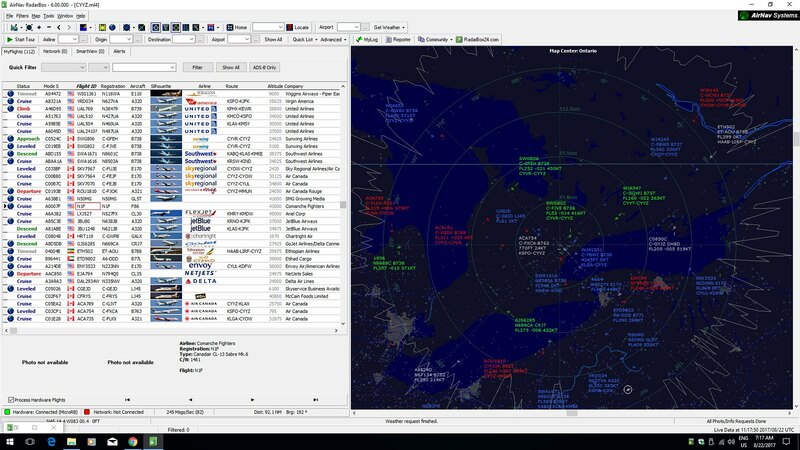 I update my Navdata 2 or 3 times a week, so that still does not make sense. Oh well, stranger things have happened! 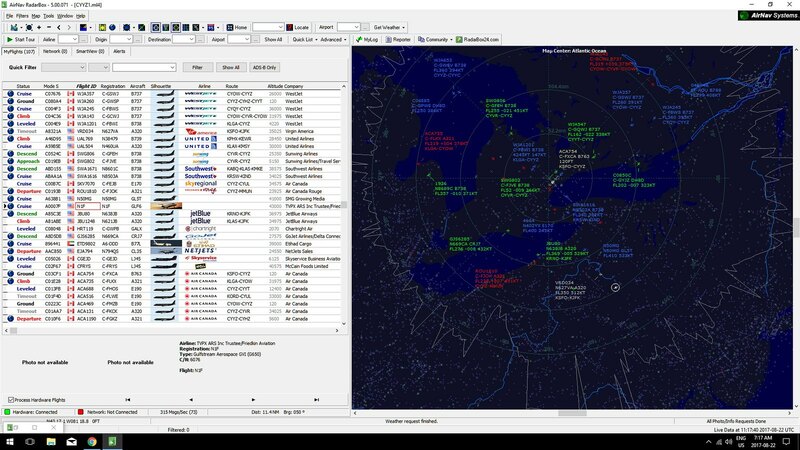 What does your Navdata on the Nooelec state for N1F and how many aircraft are in your aircraft table?, maybe its not updating correctly as you appear to have the old data. Never mind that there's 112 aircraft on 'My Flights'. Never happens in this part of the world. Jealous or what !! Hi Alan, refresh me as I am getting old....WHere do I go again to check how many aircraft are in the table? EK01, To get those kinda results I have pumped way to much money in to this hobby over the years....From Antenna's on apartment buildings to huge masts in my back yard, it all pays off. I have everything running LMR-400 cabling with all connections sealed. I always want to push my antenna higher, but for now, its working well! Total aircraft in the d/b should come up at the bottom. Jason, use to visit every year relations who stayed in Bramalea. Remember the good times well. Out the apartment, right into Dixie and then left into Derry. First stop the executive area.